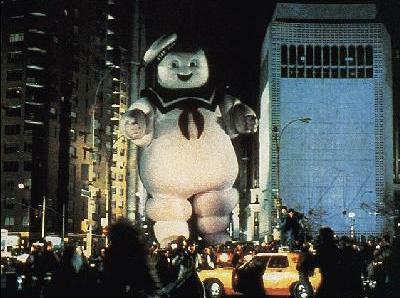 "When there's somthing strange...in the neighborhood...who ya gonna call?" I was finally able to finish the last of my imperial trooper style figures for the Rise of the Empire series that I'm working on. This one is called Fleet Security-Rise of the Empire. 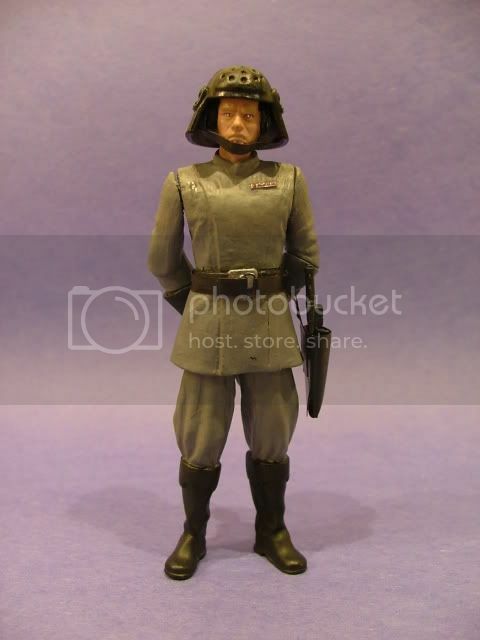 Obviously I've used the vintage Death Squad Commander figure as my inspiration. Its basically an upated version of that awesome vintage figure with some twists. 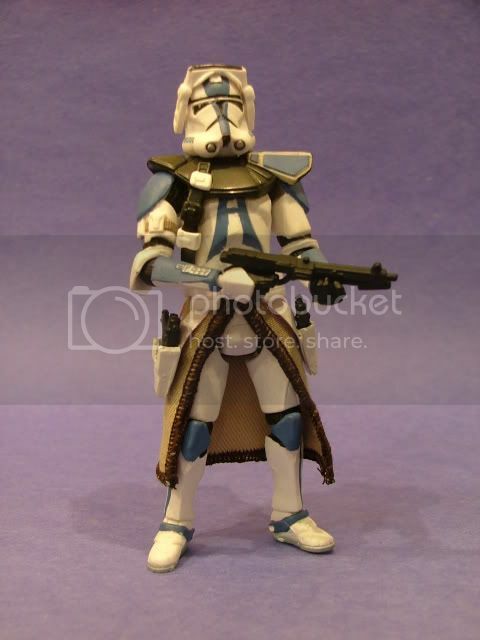 This figure is my personal fave from the ROTE line due to its likeness of my all time fave vintage figure. I hope that you like it and please let me know what you think. 1st to reply!!! I like this one alot. It has a big OT feel, yet I could see him maning the helm of a Republic cruiser under attack by the CIS. Like I said at TheJawa this addition to your RotE line looks very very nice! Your attention to detail is stunning... again. Please don't tell me (actually, please do) that that head unit is removable? The holster looks smaller than the others you made. That's excellent work! 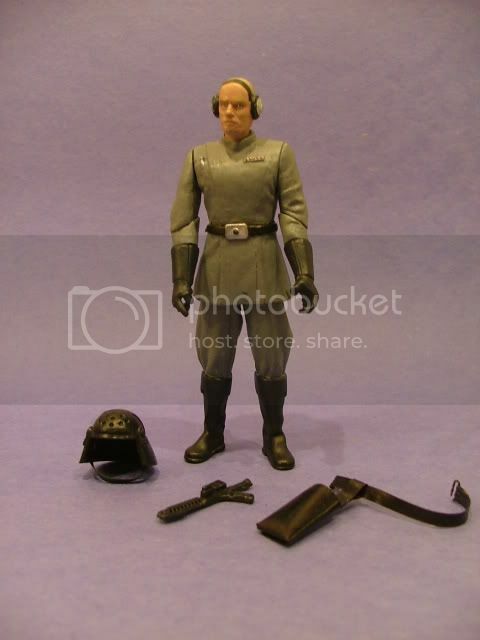 Let me guess: Tarkin body (I got 9 now ), cast helmet, Ozzel hands (?) and head (modified)?? As always , he looks GREAT! Great attention to detail. The buckles are hand made by me. ITs nothing more than a segment of paper clip bent into a rectangle. The trick is to leave the bottom section of the rectangle open so that the belt loop can slide iinto the notch of the buckle. Hi everybody. I have been in the process of creating a better version of a soft kama for basic action figures. You may remember my first attempts at such an item from my Baccara Rise of the EMpire figure and a few others but I was never happy with those attempts. Thanks to my lovely wife and her extremely cool sewing machine she and I created a brand new kama pattern for clones and other kama sporting figs. 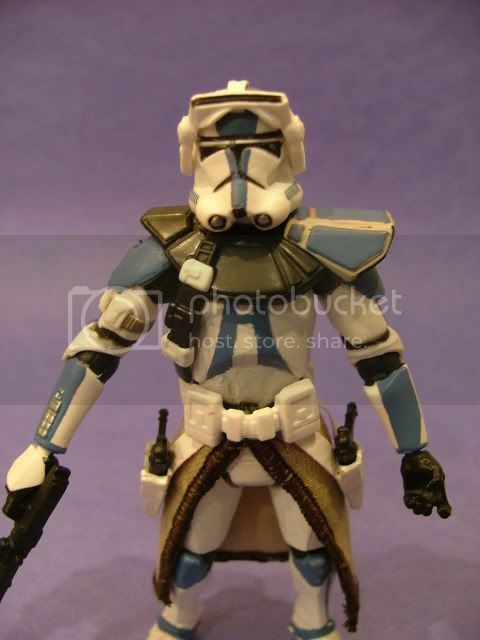 You may also notice the custom soft holsters with this 501st commander. This is another thing that I wanted to improve. As you probably know by now my favorite tings to do are to make improved holsters and belt systems for existing action figures. I'm pretty pleased with these new patterns. Smashing! I love the Kama and Holsters. If you could market those, I'm sure there would be several buyers standing in line. Very excellent work. I wish I (or my wife) could sew. You can really add a cool dimension to your customs with this skill. Very sweet! I love the trim on the edge, that really makes it stand out. The holsters are very nice too. I'm starting work with soft goods now, and these give me something to shoot for. Good work! you have mad skillzz... awesome work... always look forward to seeing your customs..